‘PM Narendra Modi’ has been in news since its announcement. While all the Modi followers are eagerly waiting for the movie to release, the opposition parties have called it a propaganda film. The movie is releasing on April 11 and it has received a ‘U’ certificate from the Central Board of Film Certification (CBFC). Trade analyst Taran Adarsh tweeted about the news. Here’s his tweet. Meanwhile, the movie has won its battle in the Supreme Court. The apex court has refused to put a stay on the release of the movie. The release date has been postponed many times and finally, it is releasing tomorrow. Time to rejoice for Modi fans. The makers are leaving no stone unturned to make it a huge success. Talking about the film, it is one of the most anticipated biopics of this year. 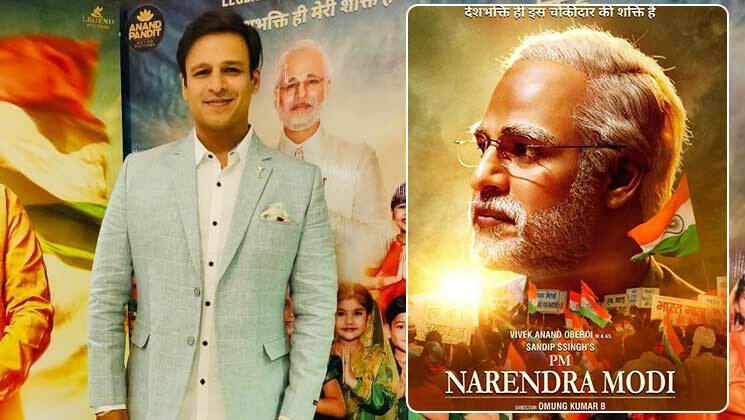 Vivek Oberoi will be seen in and as PM Narendra Modi. Apart from Vivek, the film also has Darshan Kumaar, Boman Irani, Manoj Joshi, Prashant Narayanan, Zarina Wahab, Barkha Bisht Sengupta, Anjan Shrivastav, Yatin Karyekar, Rajendra Gupta and Akshat R Saluja in pivotal roles. For more updates on the movie, keep reading our space.